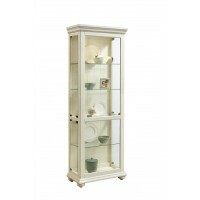 This curio is designed with a coastal style in mind. 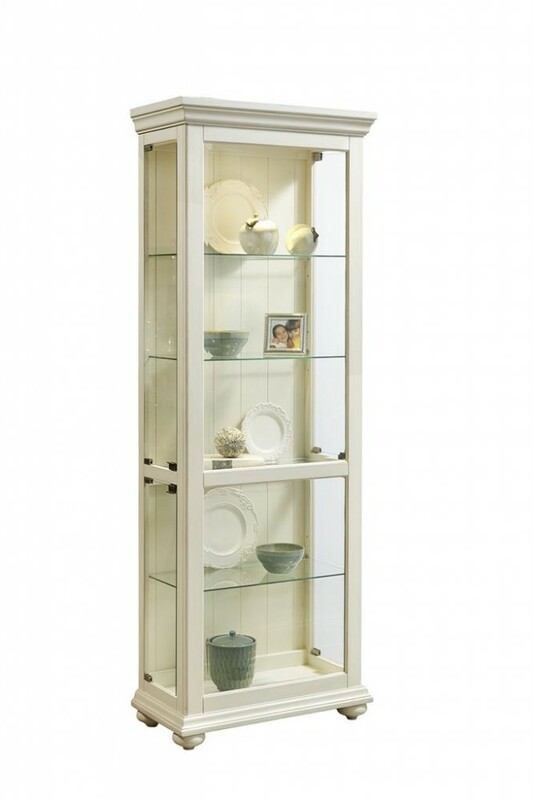 With its beadboard back panel, creamy, off white finish and adjustable glass shelves, this piece fits almost any application. Side entry doors and a three-way touch LED light make it easy to create an eye catching display. Inside dimensions: 23 1/2" x 12"